Everything an Advanced Skater Needs - Designed for a combination of speed, comfort and performance, the Stealth 84 is ideal for everything from recreational fitness to high-speed performance skating. 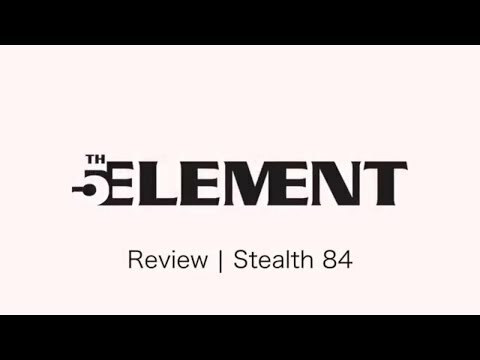 Stronger Chassis Means More Power - The all-aluminum chassis of the Stealth 84 adds superb energy transfer so you get more power with every stride. Soft and Steady Boots - Skate for hours on end in comfort thanks to the soft-shell boot that keeps your feet well-protected and well-ventilated. Strap in and Skate - Its incredibly easy to lock yourself in tight with the skate's laces, strap and buckle, so you can spend more time skating and less fiddling with the fit. Roll Fast and Smooth - The combination of 84mm wheels and ABEC 7 bearings offer more precision and speed with less effort. 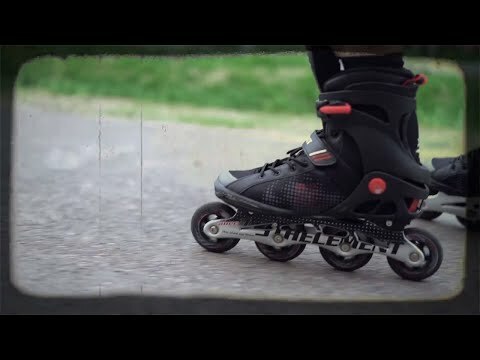 Just like the movie 5th element these skates are awesome! My roommates son seems to like them. he hasn’t said anything about anything being wrong with them to us so I’m sure he’s enjoying them thank you. Q: My 11 year old grandson wears a size 7 shoe. Looking at boys 5th Element goes to size 8. Would going to men's size be better and what size skate? A: Skates fit the same as shoe size so a size 7 would be accurate. If he is on the lighter side weight wise the kid's skate would be fine and give you the growth from 7 to 8. The adult skates are going to be a bit sturdier and will support more weight. Q: If my foot is exactly a size 10, should I go up or down a size? A: The brake can be removed if desired but you will need an additional short axle to replace the longer brake axle with. This doesn't come with the skates but give customer service a call at 888-421-6836 and they can get one sent to you. Q: What is the weight limit on these skates? I am hoping more than the Panthers. A: These are going to be the same as the Panthers at 190 lbs. Q: What are the frame and skate frame materials on this skate? A: This skate has an aluminum frame and the boot is a mix of plastic, and other man made materials. Q: i was wondering if this skates are made a little wide? A: At this time no inline skate manufacturer makes a "wide" skate. You can accommodate for width by adding in a heel lift to the rear of the skate. This will pull the heel up and alleviate some side to side pressure in the boot. In some cases it's best to go up a half size to accommodate for the extra width.